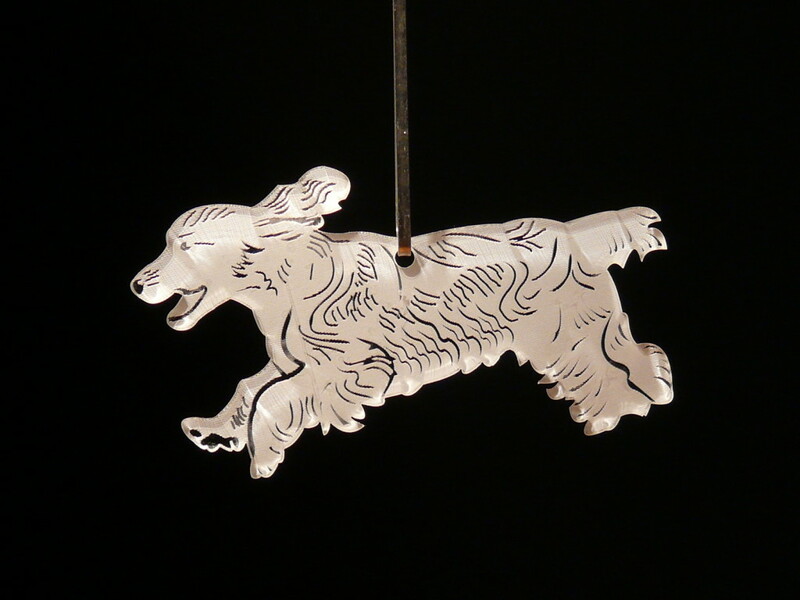 A hanging ornament featuring an eager Cocker Spaniel. Engraved on clear acrylic. 10cm nose to tail.